Posted on January 16, 2014 by Financial Underdog	in insurance, mortgage, personal finance, real estate. At first glance, mortgage life insurance obtained from your bank sounds like an excellent idea. You’re buying a home for your family and sign up for a loan that will take decades to repay. While you’re signing documents for your mortgage, your bank rep mentions the benefits of getting mortgage life insurance – peace of mind, complete repayment of your mortgage in case you or your spouse pass away, and relative low cost (when compared to your mortgage amount that is). Sounds like a responsible thing to do to protect your family, right? When we bought our home few years ago, we had this exact conversation with our mortgage specialist. Fortunately, I had enough brain cells to say that I needed more time to research it, and I started digging around. After looking into details of the mortgage life insurance offered by the bank, I found several reasons why it’s an awful product, and should be avoided at all costs – unless your hobbies include wasting money. Just out of curiosity, I’ve looked up the cost for mortgage life insurance on TD Canada Trust website. 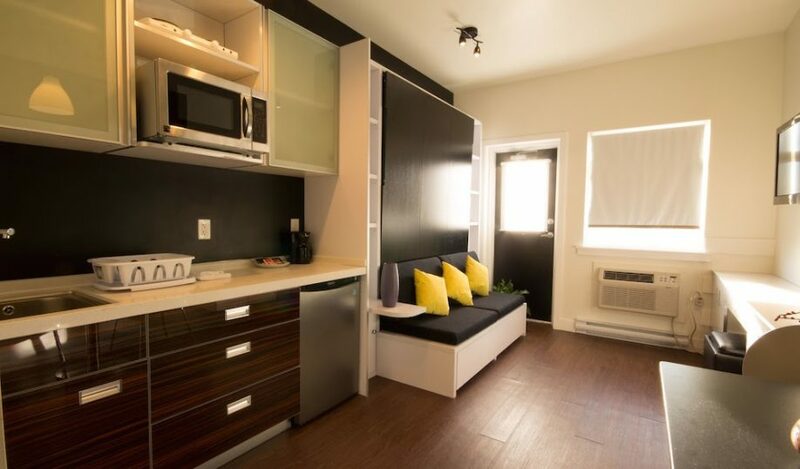 For example, you’re buying a small house and taking out a mortgage of $400,000. 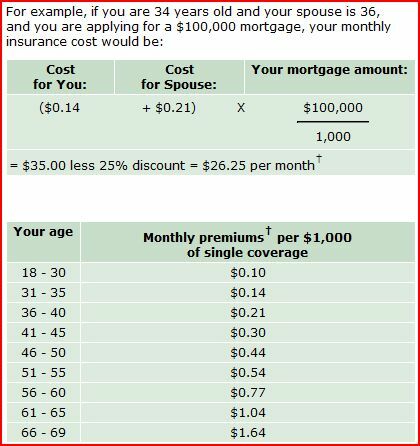 To obtain life insurance for a mortgage of this amount, you and your spouse (in my example you’re in your 30s) will have to pay $105.00/month (after generous 25% discount). 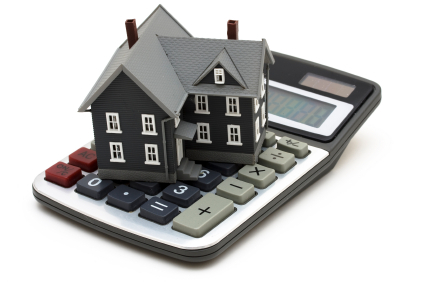 If your mortgage amount is higher or if you and your spouse are older, the monthly expense will be higher. This is extremely expensive when compared to simple term life insurance that can be obtained through independent brokers. Similar coverage of term life insurance would cost you less than $40/month and offer more to you – as I discuss it late. Even our life insurance policy offers superior coverage and flexibility. While $105.00/month might not seem like a big deal when compared to your mortgage payment, the value just isn’t there. Also, keep in mind that your coverage will be going down as your mortgage is being paid down – while your premiums will stay the same. Typical life insurance policy obtained through insurance broker is actually underwritten when you sign the contract and the risk is assessed prior to this. Once you enter the contract, the payout is guaranteed in case you or your spouse die. Insurance agencies take this step very seriously, and take every step possible to assess your health before the policy is signed. In our case, we had to go through a medical examination performed by a registered nurse to make sure our level of health is reasonable and we are insurable. Mortgage life insurance is a bit different in a sense that it’s underwritten at the time of the claim. Bank won’t access your health prior to signing the documents; you simply fill out a short questionnaire about your health. If the unthinkable happens, the bank can actually deny the coverage simply because you weren’t insurable. The fact that you didn’t know about your heart condition won’t make any difference. If I had mortgage life insurance for our home, and got hit by a bus, the payout would go straight to the bank holding my mortgage because the bank is the beneficiary for the insurance policy. My wife wouldn’t be able to make a choice on what to do with insurance money – it would simply pay off our mortgage. In case of private insurance, the proceeds would be given to my wife tax free with her choice of actions – pay off the mortgage, invest the money, or build a giant Rocky-styled statue of me. Another thing to keep in mind is that your mortgage life insurance policy is attached to your mortgage. If you sell the house – the policy gets canceled. If you renew the mortgage – the police needs to be renewed. If you miss a payment – your policy gets compromised. In other words, you have no control over it whatsoever. Why do banks offer mortgage life insurance? Mortgage life insurance is an easy sell for bank employees to push to their clients as an added bonus. Any responsible adult would think about protecting their family from unexpected death. But mortgage life insurance offered by most banks is not the right way to do so. In reality, it protects the banks more than it protects you. It is also a great money maker for them given extremely high price and poor value of it to the consumer. No wonder bank employees are told to push this awful product! Don’t get me wrong, protecting yourself and your family is important and insurance can be a beautiful thing. It is your responsibility to make sure your family won’t suffer financially if you or your spouse suddenly passes away. But mortgage life insurance offered by the banks is an awful product that offers very little value. If I were you, I’d consider obtaining term life insurance from an independent insurance company. You will be able to control the coverage amount and what happens if the policy pays out. Your premiums will also be much lower than what the bank will offer you – and who can’t use some extra money these days? My name is Financial Underdog, and I’m not impressed with mortgage life insurance!